Morning walk in winter wonderland in comfortable -8 Celsius. Suunto Spartan Trainer tracked only 3 km, but it was proper excercise since snow was partly knee deep. Beautiful. I love that sticky snow that coats the trees. It creates a unique quiet when walking - I can't wait for another snow here. Tough to capture the colors with my cell, great sunrise this morning. Last edited by happyscrappyheropup; Jan 26, 2019 at 11:46 AM. 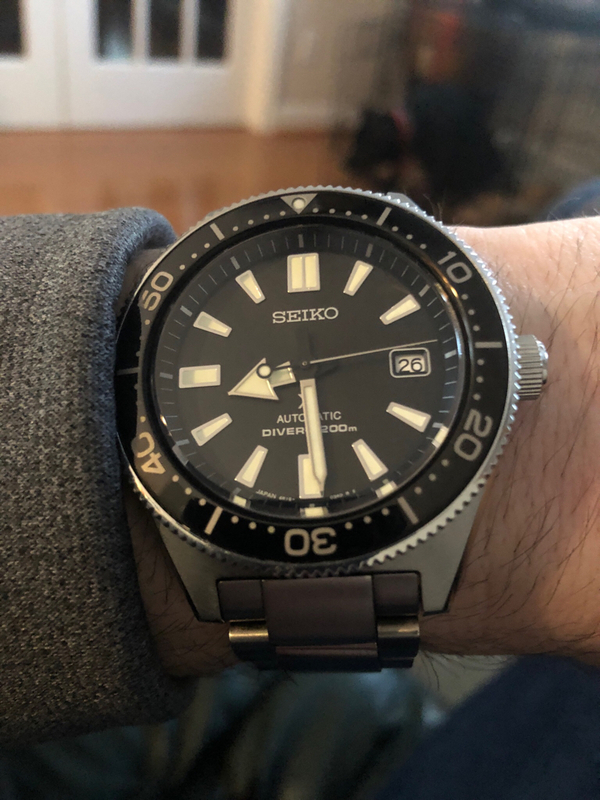 Some classic Seiko goodness. Thinking about doing the 62MAS handset on this.